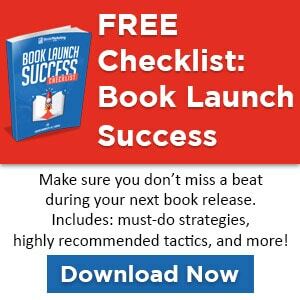 This is a guest post from author Nicholas C. Rossis. 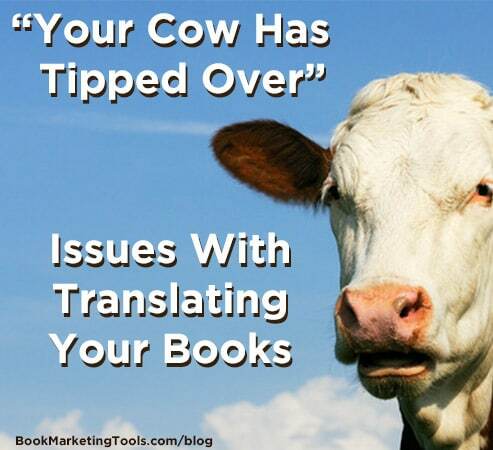 Getting your book into new marketing is a great way to expand the reach of your books, but one of the issues that comes with that is translation, and how some words and phrases just do not translate as well as you would hope. What do cows have to do with it? Keep reading to find out. As a Greek writing in English, my friends often ask me when my books will be available in Greek. The problem is that I have written almost half million words so far that would need to be translated; not a mean feat. Still, I decided to publish Runaway Smile, my latest book, in both languages, as it was short enough to easily translate. I undertook the translation myself – after all, who better to translate a work than the author himself? Almost immediately, I ran into an unexpected problem. As expected, I had no trouble translating the words. The concepts behind the scenes, however, were a different matter. Cultural references and jokes, in particular, turned out to be quite a hard nut to crack. I ended up changing quite a few things to make the book work in both languages, and the two versions have some unexpected differences. I then realized that I’m hardly the only one to run into that problem. When Mozilla tried to translate its web browser into as many languages as possible, it soon became clear that what needed to be translated was not the words, but the concepts. For example, if someone said their computer has crashed, would it conjure an image of a person flinging their PC out of a window in another language? Now, I may be Greek, but I can easily understand what someone means when they says that their computer has crashed or that they didn’t save their file. Our culture and education have taught us these things. What about the rest of humanity, though? It turns out that the pitfalls of translating cultural idioms ask for some pretty creative solutions. For instance, a cookie (the digital kind, so stop drooling over the keyboard) has no translatable relevance in some African dialects. Also, people know a mouse as the little rodent most of us would like to keep out of our house. This highlights the extent to which our language is geographically and culturally bound. In essence, words that the Mozilla people wanted to translate had to relate to things that are actually present in African peoples’ everyday lives. So, translators came up with words closely related to livestock, farming and fishing. The result? A computer crashing was translated into a word that basically means ‘a cow tipping over but not dying.’ Timeout was translated as ‘your fish has got away’ and cached pages were turned into ‘bits of leftover food.’ Likewise, for some people in Mexico who have no windows in their homes, Windows became ‘eyes’. We assume that our way of talking and communicating is the ‘normal’ and universal one. However, words reflect a culture and civilization. They are representative of people, and since people are very different, it’s only natural that words and notions should be different as well. This is something worth remembering when we undertake a translation. I love the idea of making my work available to new markets. My experiment with Runaway Smile has so far been a success, as I realized how few of my friends even knew I am an author, despite the fact that I have published six books. In fact, I got a call from a former classmate a moment ago, who asked me where he could get a copy for his children. All of this would have been impossible, had I continued to publish in English alone. However, when I try to imagine how I would translate Pearseus, my epic fantasy series, into Fulah (a Senegalese dialect), Chichewa (a Malawi dialect) or Zapotec (a Mexican dialect), I have to laugh. So many words would have to be translated in culture-specific meanings, and I would love to see how a spaceship, an Orb, an e-lib and so many other words in my books would turn out. I’m betting that my books would become much more poetic, but also a good deal more surreal. Perhaps they could even be entered into whole new book categories! Space cows, anyone?